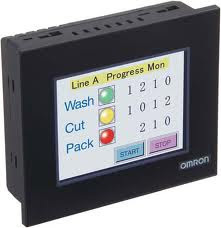 Omron NV series programmable terminal are entry level HMI which are very cost effective and give high performance due to which they have become popular choice of industrial automation. They can be used in Packing Machine, Control Panels, Food Processing Equipment etc. NV HMI can be programmed through NV designer software which is very simple to use. If you want to try your hand on this software you can see below link. Subscribe to Automation-Talk by Email. 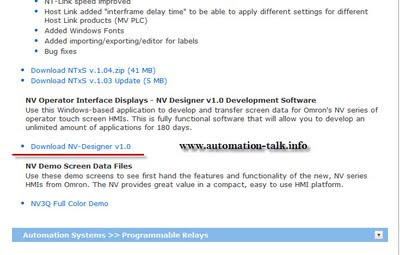 To download a free copy of NV Designer you will have to visit Omron website website and expand the Operator Interface Displays (HMI) as shown in below image. This will show you the list of available download of Omron HMI software's like NP designer, NS designer, NT HMI software etc. 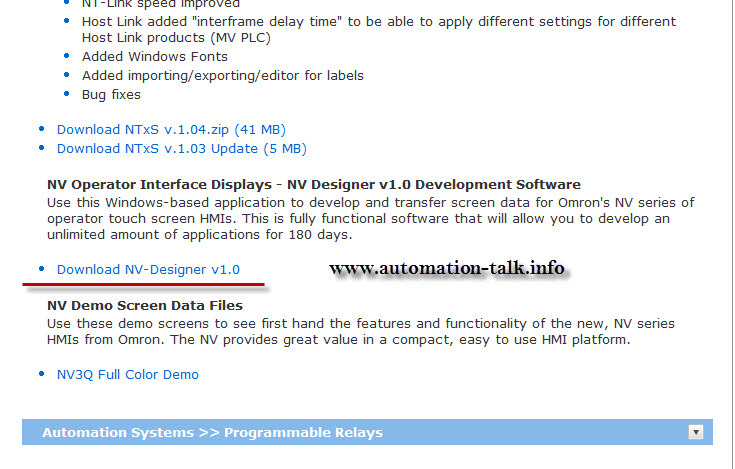 Scroll down and click on Download NV-Designer v1.0. 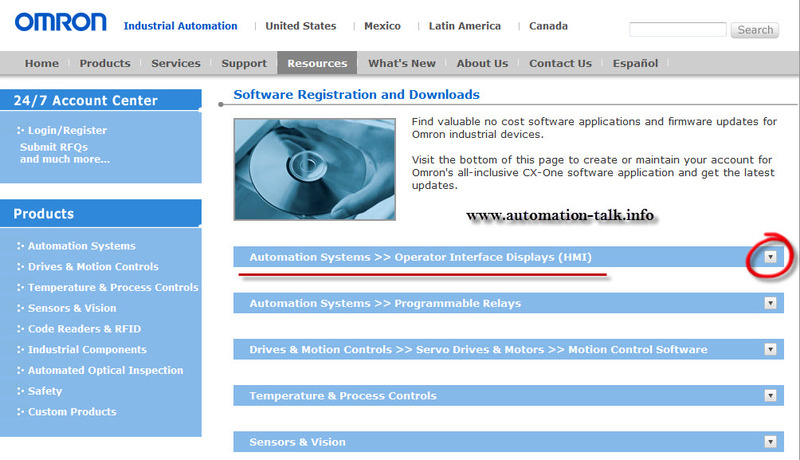 Note: This software is a full function software but will only work for 180 days. If link is not working let us know.